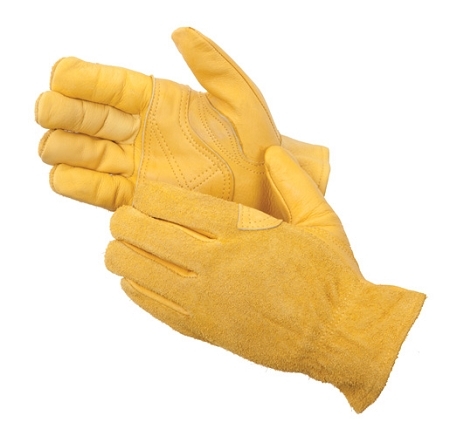 Golden Grain Cowhide Driving Glove. One pair. Shirred elastic and split leather back. Keystone thumb. Rolled cuff. Reinforced palm patch. Made in China.